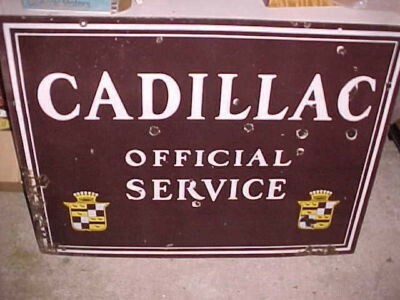 This Cadillac Official Service sign is a maroon color with white details. At the bottom left and right of the sign is the Cadillac logo. This sign was likely hung outside of a dealership garage. The sign measures 40″ by 30″.